Looking for a great way to kick off St. Patrick’s Day? 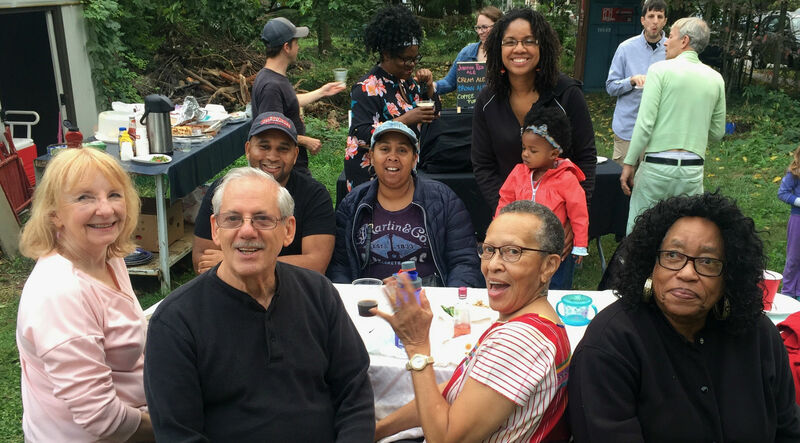 Join a friendly group that’s committed to preserving and maintaining precious green space in Southwest Germantown. Hansberry Garden and Nature Center, located at the corner of Hansberry Street and Wayne Avenue, will hold its Spring Gathering membership event from 10 a.m. to noon on Saturday, March 17. The event will take place at the New Hope Temple Baptist Church, 312 W. Manheim (entrance to the parish hall is at 5020 Pulaski Ave, through the archway and to the left). Those who are interested in joining the garden are invited to gather with returning members to learn about the benefits of membership in a thriving community garden and discuss plans for the upcoming growing season, including the introduction of a new outdoor amphitheater and a solar-powered electric system. Light refreshments will be offered. Membership in Hansberry Garden and Nature Center offers much more than farming an eight-by-four-foot plot of fertile land. HGNC is a beautiful, welcoming environment for forging real connections with your Germantown neighbors. Attend our Spring Gathering to learn more about how HGNC members share expertise, labor, and good times — as well as more tangible items like seeds, tools, and produce. The Hansberry Garden and Nature Center (HGNC) operates an organic garden at the corner of Wayne and Hansberry Avenues. HGNC also sponsors a number of community activities including the Kelly Green Project, a partnership with the nearby John B. Kelly School; a Farm Stand that offers produce to the community at low or no cost during the growing season; regular donations of produce to the Pennsylvania Horticultural Society’s City Harvest Program; and programming such as workshops and social gatherings, both for garden members and for the general public.